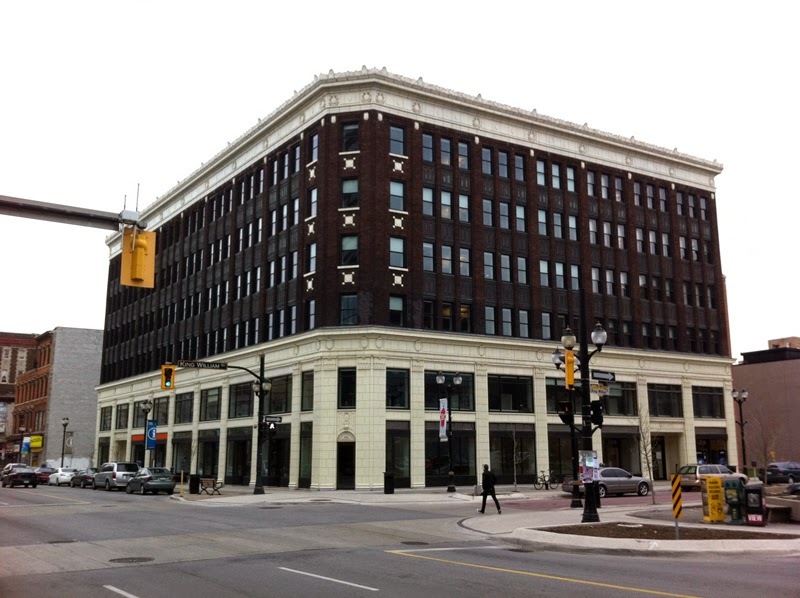 In 2007 the province came THAT close to designating the Lister Block in downtown Hamilton. The case pitted then-Culture Minister Caroline Di Cocco against Hamilton Mayor Larry Di Ianni and his council who were determined to okay demolition of the building. The Lister Block was designated by the city but in a sorry state and it was proposed to replace it with a facsimile (and not a perfect one at that)! 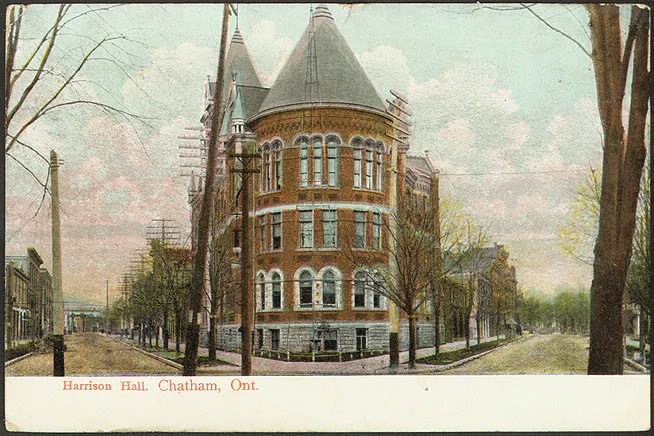 But the minister had a big stick not available to her predecessors, who had no choice but to stand by while losses of important buildings piled up — all the way from, in my memory, Harrison Hall in Chatham in 1980 to the Salmoni Building in Amherstburg in 2004. Since 2006, when provincial designation and the provincial stop-work order were “activated” with the approval of Reg. 10/06, the Lister Block embroglio was the first real challenge to emerge. 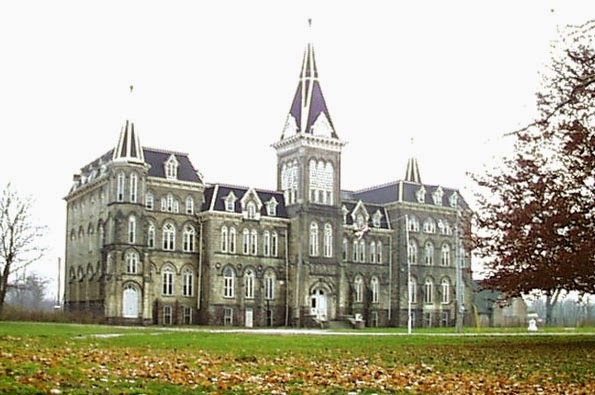 The Ontario Heritage Trust confirmed the provincial significance of the building and the question was… would the province act? This is the thing about big sticks: they don’t necessarily have to be used to be effective. 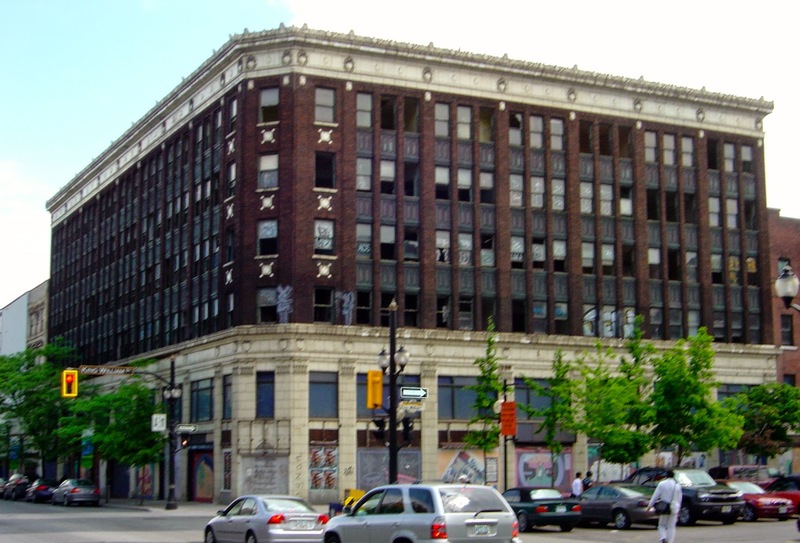 In the Lister Block case it was very clear the minister was seriously weighing intervention and, faced with that, the mayor backed down, agreeing to the formation of a working group to seriously examine preservation options and to put off the city’s approval of demolition pending the result. The building was saved and restored, thanks in part to a $7 million investment by the province, and is now a symbol of renewal in Hamilton’s core. It might be helpful to distinguish between the exercise of a power — actually designating a property — and the strategic “use” of that power to pressure others to act — prodding municipalities or owners to save a threatened structure by warning of provincial intervention. So, since the Lister Block, what use has been made of the now-not-so-new provincial powers? It certainly has not been for want of endangered properties and for calls for the province to intervene. Alma College in St. Thomas (victim of demolition-by-neglect and a fire caused by vandals), Colborne Street in Brantford (victim of a terribly misguided attempt at “urban renewal”), and the Gore Park buildings in Hamilton (still teetering on the brink as I write this) are some of the big ones that come to mind. What this says is that the province has chosen to use the provincial powers as “reserve” powers, meaning they are not to be seen as the primary line of defence for provincially significant property. Rather, municipalities, with their strong demolition control powers, and a closer connection to their communities, are expected to take action to protect these properties. But this begs the question, just when will the province act? Under what circumstances does it have, if not the primary responsibility, then a secondary one? The answer so far, through a succession of recent culture ministers, has been (virtually) "none." So why is this the case? What is wrong? On the policy front, I would say that, in the development of provincial designation, there was lack of clarity about how it was to be used, resulting in failure to fully grasp the implications of its use including resourcing needs. As at the municipal level, a provincial inventory would be the basis of a designation program that, over time and in a systematic fashion, would protect those properties worthy of designation (or, in a variant of this approach, would encourage municipalities to designate/protect them instead). There were “cons” to this approach. One was double designations (since every property eligible for provincial designation would be eligible for municipal designation), but this could be handled. A more serious one was the resources, and time, such a mammoth inventory would require. The other view — the reactive or “reserve power” view — was essentially that the province should step in only where necessary to save a threatened structure. This approach could work without a provincial inventory, in an ad hoc way, although obviously an inventory would be very useful here too. What was not fully appreciated, however, was that this approach would involve the minister in eleventh hour and usually confrontational situations, not just with property owners but with municipal leaders. And that (as we later saw with the Lister Block experience) this might come with funding pressures. Adding to the fuzzy thinking about the use of PD, there was perhaps a naive expectation that, once the new provincial powers were in place, the resources and incentive programs needed to really make them work would somehow follow. The problems with provincial designation seem to come down to this: as currently developed the PD “program” tends to set up risk-averse provincial politicians against their municipal counterparts, and give them little to bring to the table in terms of earmarked resources or incentives. Or, looked at from a different angle, provincial designation, as conceived and resourced, is no match for Ontario's long tradition of decentralized heritage decision-making. This is not to excuse provincial inaction, but reluctance is understandable! Much more could be said — hey, this would be a great thesis topic for someone out there! Seriously.